Winter is almost here! A few months ago we were talking all about the upcoming fall trends. Winter has some of it’s own trends as well! 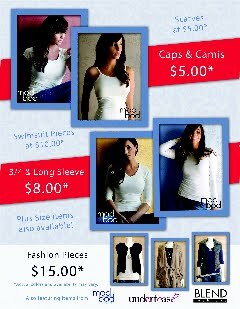 Mod Bod ALWAYS goes along with the current trends AND keeps them modest! Here are some of the winter fashion trends that we can’t wait to put to use. Don’t forget to pair them with our basics collection to keep them trendy yet modest. Strong shoulders are a big trend this year and we love them. If done the right way they help women look bold, strong and confident BUT feminine and beautiful at the same time. Having an outfit with strong shoulders is also very slimming to the figure! No need to feel dreary in the winter when bright bold colors are in! What else would brighten your day than wearing some of these beautiful and flattering colors? We love that the 80’s have come back, but a million times better than back then! What winter styles are you looking forward to wearing this year? We have two exciting announcements for November! 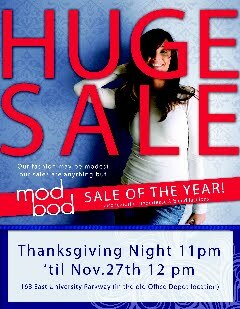 #1 There is a HUGE mod bod Thanksgiving Sale that starts at 11pm Thanksgiving night and goes through 12pm the next day. Blend Holiday Preview, Friday Nov. 6 @ 7-9pm Come enjoy this special after hours event! Bring a friend. There will be Goodies,Prizes and Giveaways. What could be better than that? They are also donating a portion of total sales for the month of November to the Battered Women’s Shelter through United Way of Utah County. Be sure to go support them in this wonderful event! Skirts are KEY this fall. We love that these amazingly talented ladies highlighted two types of skirts that we already know look fabulous. So pay attention to this video! 1. Pencil skirt, tucked in skirt or fitted cardigan and statement necklace (and with our skirt you DON’T need a trip to the tailor. It really is the perfect fitting skirt). 2. Full skirt (but here at Blend it ISN’T short. It is at the perfect length-even better than short, in our opinion), opaque tights, chunky sweaters/flowy blouse. 3. And with both, of course, a great pair of heels. Sounds good to us. It’s a good thing that we carry BOTH of these skirt trends in a modest, affordable and high quality line- our Belle Skirt and our Pencil Skirt.